Cats taste surprisingly like licorice…. That’s because they are licorice, silly! 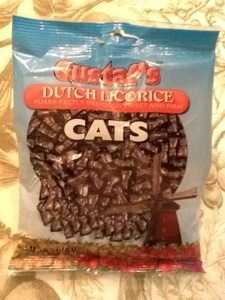 Here we have Gustaf’s Dutch Licorice Cats. Now I don’t know what is Dutch about the licorice. In our American vernacular, anything Dutch usually means it’s been split in half; Dutch door, going Dutch. This licorice tastes full strength to me. As for the cats. They are about an inch tall, and pretty good. I found them at World Market, which should get an international candy award for all of the amazing treats they carry. They were $1.99, and worth the price. 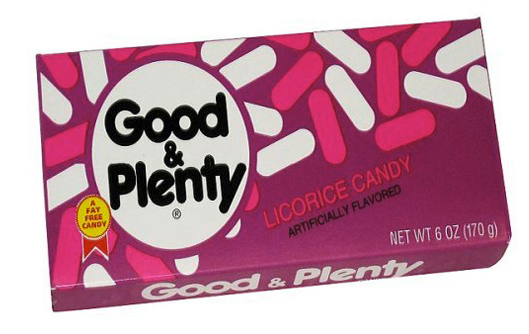 Posted in chewy candy, licorice. Bookmark the permalink. It’s almost that time of year when we jump into the car and drive for hours to the grandparents’ for Thanksgiving, and then back home, totaling 10-plus hours each way…uggg. The way I make it bearable is with a bookstore worth of magazines, and candy, of course! 3. 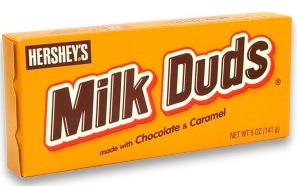 Milk Duds: more chewy goodness, just don’t lose one in the car, your dog will find it later, and you’ll be sorry. 4. 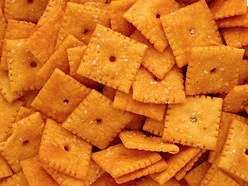 Cheez-its: salty, crunchy, and if I’m lucky, I’ll get a box with lots of browned ones, they’re Cheez-it gold! 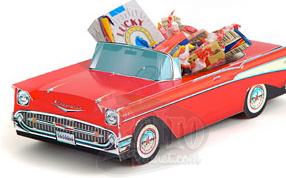 So whether you are driving, or flying this week, be safe and enjoy your snacks. Posted in chewy candy, licorice, Milk chocolate. Bookmark the permalink. 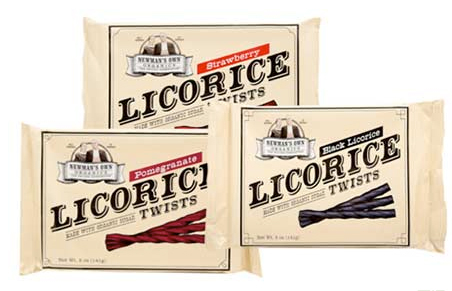 Today is National Licorice Day! Woohoo! 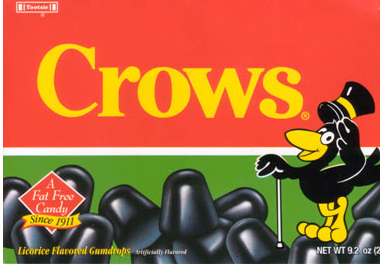 I love licorice..jelly beans, Crows, Good and Plenty, Sambuca, etc., and today is dedicated especially to that marvelous flavor. I’m sure that the House and Senate have set aside a special celebration…. I will celebrate by sampling some Newman’s Own strawberry, and black licorice. The only problem is that I don’t know when to stop. 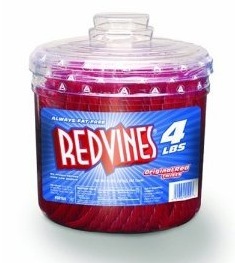 Posted in chewy candy, Holiday candy, licorice. Bookmark the permalink. This isn’t code for anything illicit. It’s a happy thing. 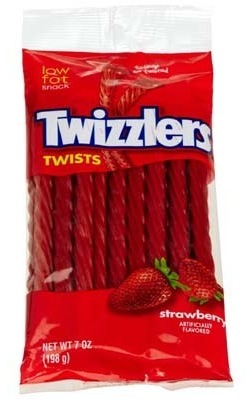 Should packages of real licorice carry a warning for folks like me who can’t stop at just 10 pieces? 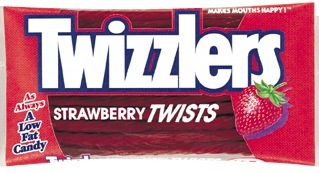 Last week, after consuming an entire package of Newman’s Own Strawberry licorice in an afternoon (it was a small package, ok) I started to get heart palpitations. I figured it was just a reaction to the latest teenage-related incident at my house. 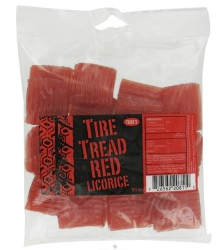 But no, yesterday I ate a few (ok, quite a few) black tire tread licorice bites, and lo and behold, heart palpitations again! I checked out the licorice entry on wikipedia and there at the bottom it talks about toxicity from licorice CANDY!!! This is a first for me, I knew that you could make yourself sick from gorging on candy, but you can also bring on hypertension and edema…so go easy on the stuff. This was in the organic section of my local Yoke’s grocery store. In the interest of research I grabbed a bag, and didn’t have any expectations. It’s fantastic. 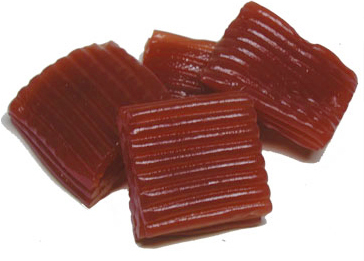 These little, one-inch squares are made of layered strands of licorice. They do look like tire treads, thus the name. Funny thing, they are made in Finland. I think this is a first for the blog! The flavor is a mix of berries. A good, firm texture and slightly sticky surface creates a good chew. The bag is pricey, but the quality is so much higher than the regular candy aisle fare. I think you are getting your money’s worth here. 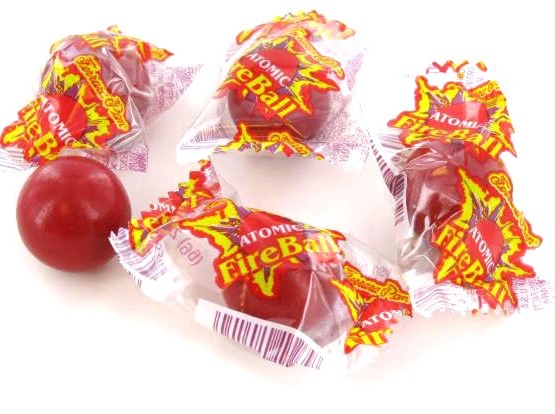 The only draw back is how fast you can go through a bag, which can leave you with a stomach ache. So, share this with your friends and you won’t hate yourself in the morning.